Voltaire’s château has very fine collections which enable visitors to immerse themselves in Voltaire’s spirit in the course of the visit. The collections for the most part come from the old contents of the château, purchased by the State with the building in 1999. 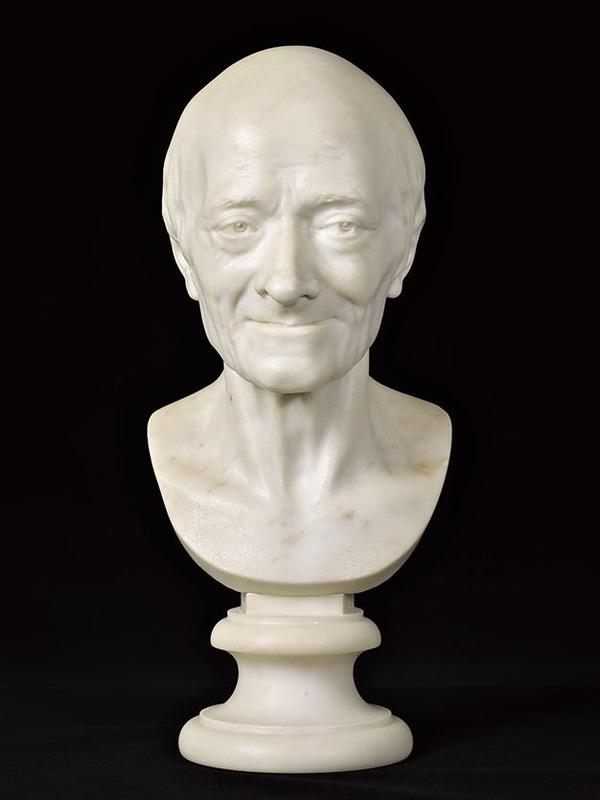 Some belonged to Voltaire and his close relations. 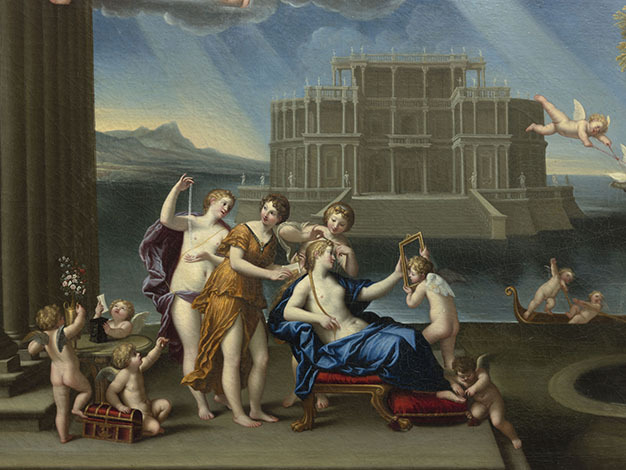 This is the case of the old copies of the Cycle from the Life of Venus, painted from Albano for the Villa Favorita of the Duke of Mantua, which were ordered by Voltaire and described by his contemporaries. Certain objects, such as the Louis XV-style armchairs, trimmed with tapestry work and marked Nogaret, are described in the accounts of the château, as well as in the inventories, until their purchase by the State. These collections have been completed with prestigious items. Amongst the most remarkable objects are the pastel Portrait of Voltaire, attributed to Maurice Quentin de La Tour (1704-1788), as well as the oil-on-wood painting, Voltaire et un groupe de villageois [Voltaire and a Group of Villagers] by Jean Huber (1721-1786), and a marble bust of Voltaire by Jean-Antoine Houdon (1741-1828), the last two works having been recently acquired by the Centre des monuments nationaux. For its part, Voltaire's bed was restored thanks to the generosity of donors on the www.mapierrealedifice.fr online donations platform.